These popular models have been re-mastered and are now all cast resin They are still designed to ride on Bachmann On30 passenger trucks but the overall length has been slightly increased to allow for easier installation of Kadee #5 couplers (not included). 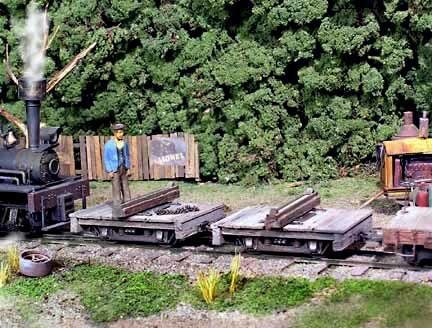 The kit now includes Grandt Line NBW castings and four sections of scale chain.This log truck adaptation is based on the practice of the W.W. Prather Lumber Co. who used recycled passenger trucks for hauling logs. See the kit page for more details. This is another offering for the modelor who needs a small boat or two. 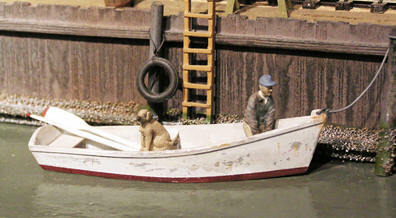 Like the skiff this dory is cast resin with resin rowlocks and styrene seats. Oars are cast pewter. See our kit page for more details and pricing. This is our sixteen foot skiff with oars. 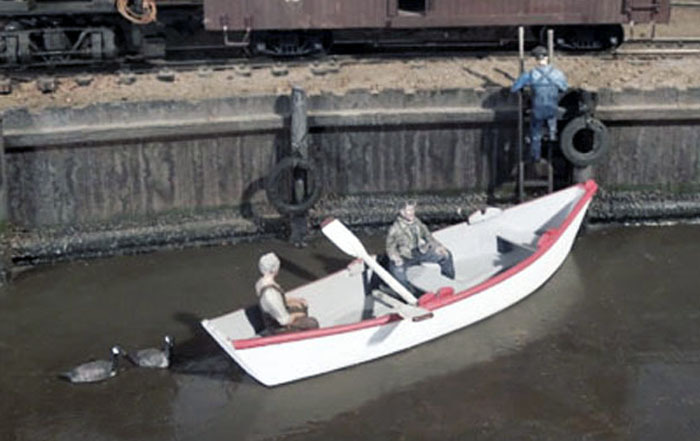 Many Modelers have waterfront real estate on their layouts but lack a source of small, easy to assemble boat kits to spruce up the water scenes. 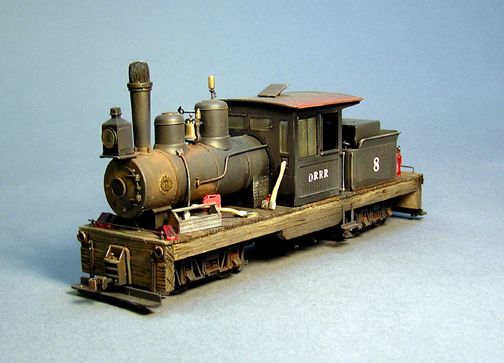 We offer this model for just such occasions.The hull is one piece cast resin with resin rowlocks and styrene seats. Oars are cast pewter. Carter was a well known name in R.R. car construction. 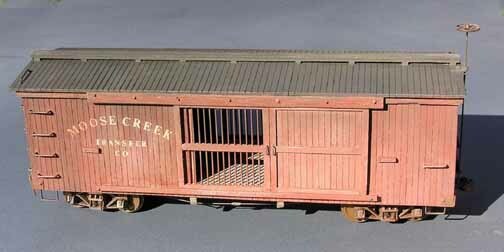 This boxcar ,one of a pair, has a scratch buillt superstructure on commercial brass trucks.The ventilated door is unique. This pair was commissioned by the late Rick Baeir. The Gilbert "B" was a cousin of the Climax using the same geared truck design . The pistons, however, were internal. 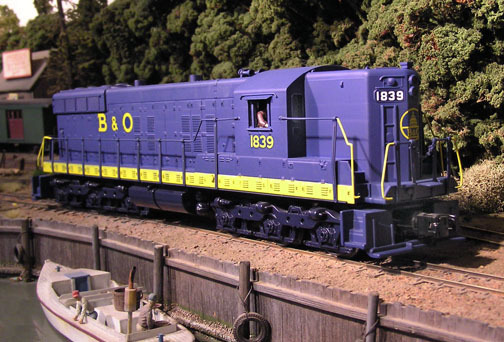 Our version of this model was bashed from a Bachmann Climax on a new custom wooden deck and parts from other commercial sources. It is in the collection of Steve Fisher. About This Site: Content by Garry F. Cerrone-Hosting by ICDSoft. Copyright Notice:This site and it's contents are copyrighted. © Garry F. Cerrone 2003 . All rights reserved.No material in this site may be used without written permission. All Products the we fabricate are lead free.They are for the use by people 13 years or older.